From 29 January – 7 February 2016, CTM 2016 – New Geographies examines today’s rapidly collapsing borders and emerging new hybrid topographies, and aims to provide the tools needed to approach the complexities of a polycentric, polychromatic, and increasingly hybrid (music) world with greater openness. Special projects and commissions, as well as artists and sound cultures emanating from less familiar countries and localities and often operating on the fringes of the electronic circuit are featured in greater numbers than ever before. 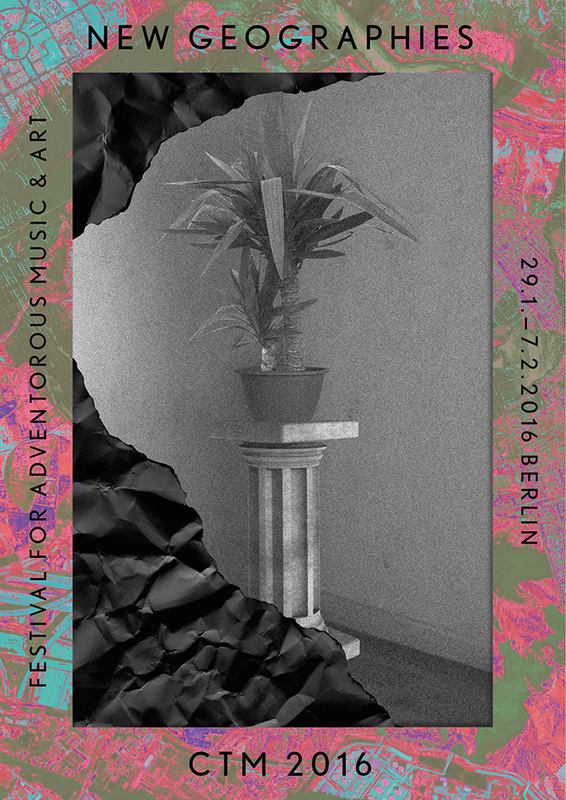 Notable input to the festival’s music programme is received from guest co-curator Rabih Beaini, while the CTM 2016 Exhibition and daytime Discourse programme is created in close collaboration with Norient – Network for Local and Global Sounds and Media Culture. From supporting the creation of new audiovisual works, to providing an artist touring and education platform or a sound art residency network — the Collaborative Network Meet & Greet at CTM 2016 provides a chance to learn about and exchange with organisations and artists involved in three initiatives co-funded by the Creative Europe programme of the European Union, including the SHAPE platform. SHAPE press representative Lucia Udvardyova will speak with 2015 alumnus Marco Donnarumma about his experiences and tips for emerging artists wishing to get involved. The presentations are followed by a Speed Dating session involving SHAPE members and organizations from other networks.